The four Venturers that went to the LNI Venturer Camp over Labour weekend at Weka Point had an awesome time. They did some tubing down the river, played some softball, got sunburned and so much more! 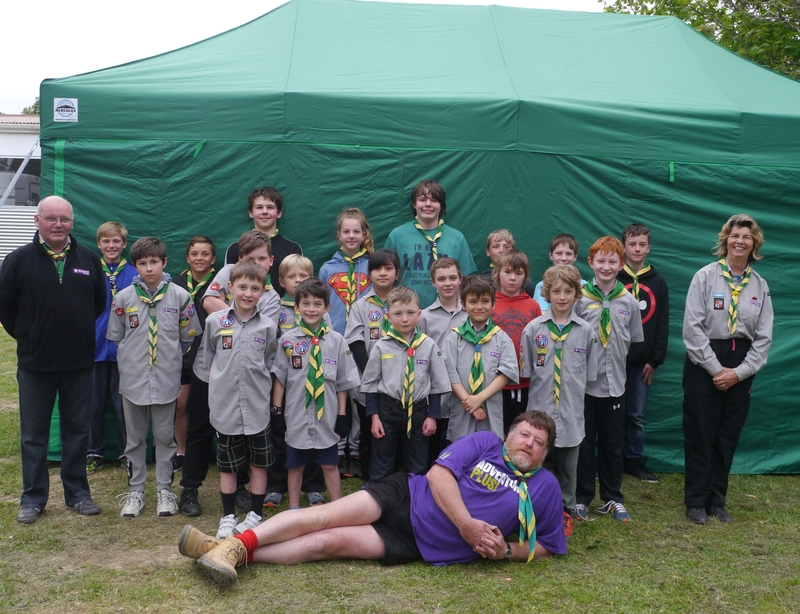 The scouts enjoyed a weekend camp out at Brookfield for the JOTA/JOTI weekend. On Saturday they were joined by the cubs who enjoyed lots of fun activities. Hello Awesome Group Leaders and friends! As discussed below we are running the Zone Swimming Sports which is a month away today! Please see the attached poster which says how to register online and how to keep up-to-date on the facebook page however I will send you updates at they come. Standardly everyone is to pay cash on the door. If you are wanting to have your scouts to pay you and you give us a cheque (like some did for ANZAC Breakfast) that is fine, however they need to register and you need to give us a list of names. Questions which I am sure you have, let me know or post on the facebook page.